One applicator to rule them all! 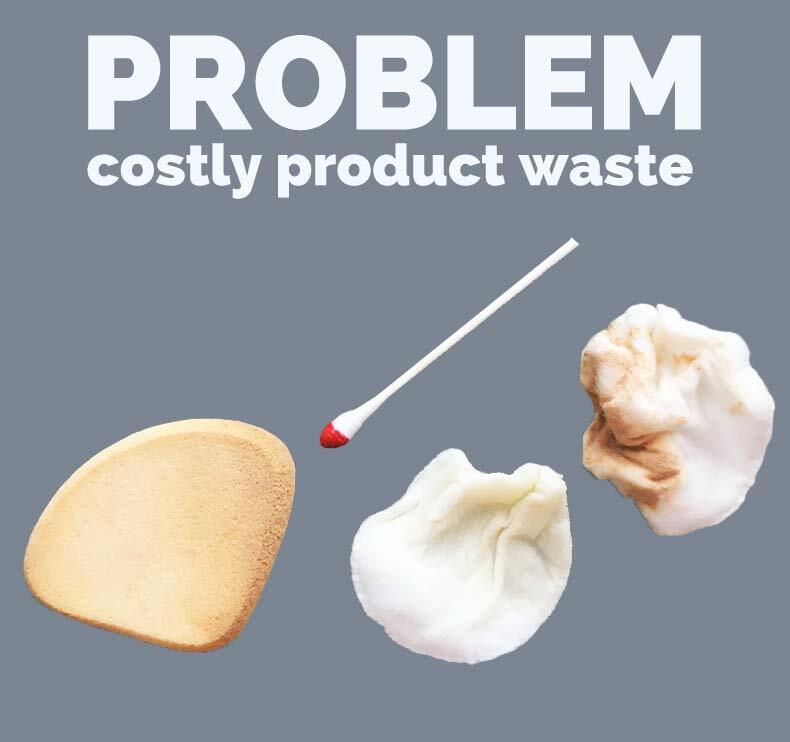 Say goodbye to costly product waste; bleached, stained, stinky fingers and linens; wasteful single-use applicators. Say hello to the hypoallergenic, finger-protecting, pleasingly textured, reusable Skin Slipper! 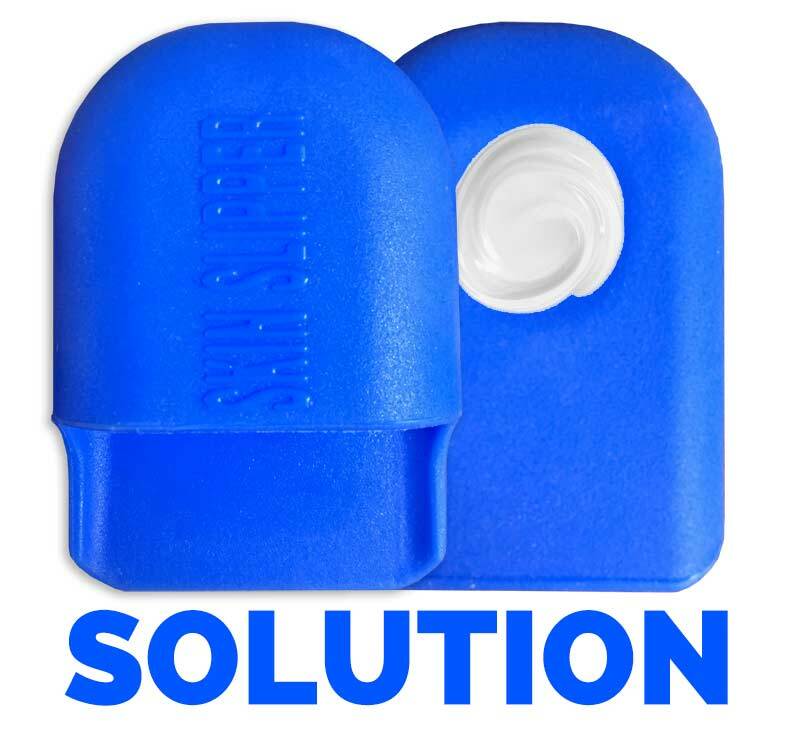 The silicone Skin Slipper puts product where it needs to go, and nowhere else! 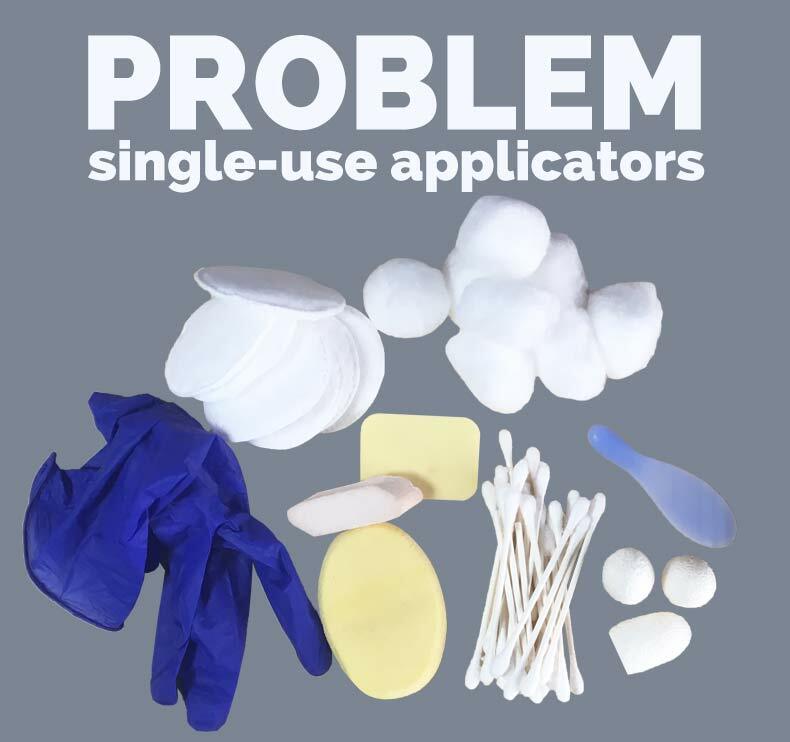 Stop single use waste & simplify your life! Get your reusable Skin Slipper now! The small, but mighty Skin Slipper will protect you! Get one! No more medication where you don’t want it. This is an amazing innovation that brings peace to the task of applying medicinal and cosmetic products to the skin. Thank you for this creative and helpful tool for daily body care. Sadly, I am a skincare junkie. I see a new product that will make me “look 10 years younger, get rid of my wrinkles, moisturize my skin, make it plumper, more radiant, etc.,” and all of the other promises cosmetic companies make. I try to read the ingredients, but the writing is too small, and I don’t know what most of the ingredients even are or do. I never know how much to use, and I wind up wasting a lot of expensive product and money. Then I found Skin Slipper. It looked interesting, and I could use it for applying creams, lotions, and other products. It looked different and better than other applicators I had been using. After using it I found out it was different and much better. Other applicators absorb the product (more on the sponge then on my body). The little indention it has helps me judge how much product to use. It doesn’t get all over my fingers and hands, or worse yet under my nails, because I just slip it over a couple fingers protecting my skin, and then just wash it off. 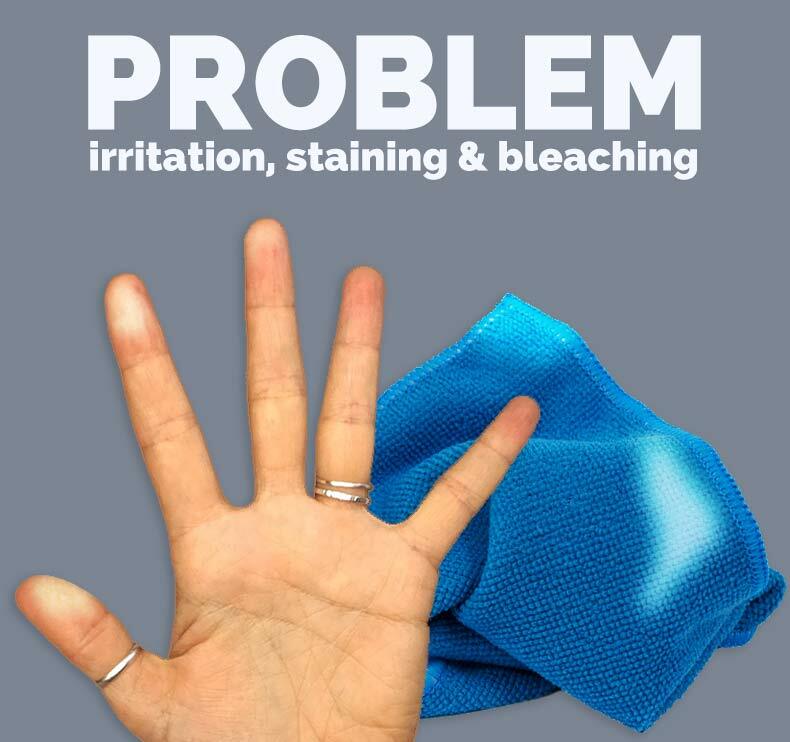 I don’t have to use a towel to wipe my hands , and then watch some abrasive ingredient (that I didn’t even know was in the product) stain, yellow or ruin my towels. 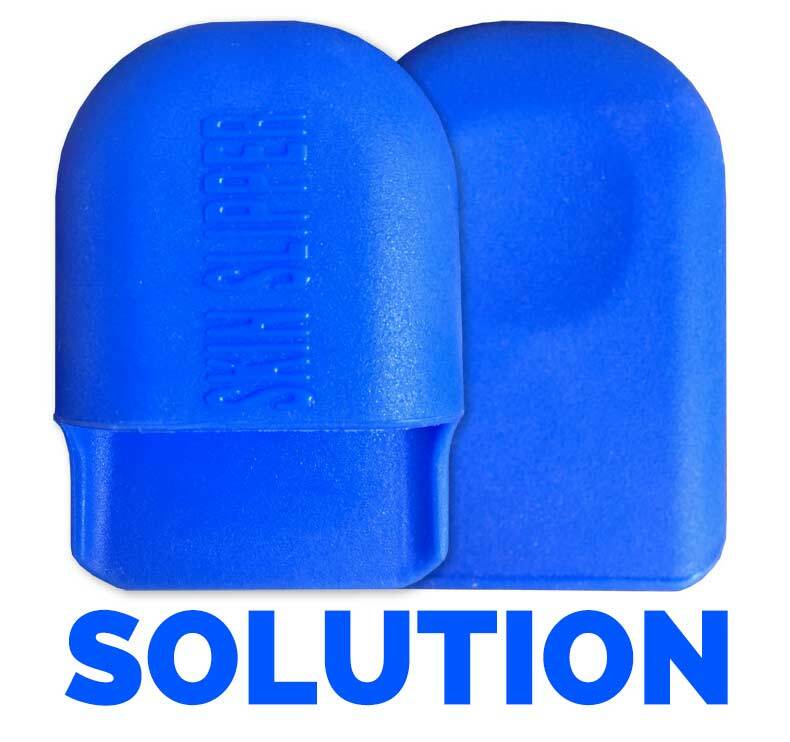 Skin Slipper stops me from wasting money by using too much expensive product, and eliminates the mess of other applicators. Thank You! I loved Skin Slipper because when applying lotion it went on smoothly. When I use it the product doesn’t get wasted ; I can keep rubbing it in until absorbed and that makes sense. I hate rubbing in stuff on my neck but with the Skin Slipper it’s really easy. Also when applying my bronzer, there is no staining on my hands and Skin Slipper washes clean and won’t harbor bacteria! Great product for so many uses! I use SS to apply my facial care products. I use to wash the residue left on my hands down the drain. Now, my treatments last longer, saving me money. Also I no longer need to scrub my hands and nails after application. It’s also great for applying sunscreen. Finally an easy to use product that eliminates the bleaching of my towels when using acne medications. Hooray, what a cost savings! 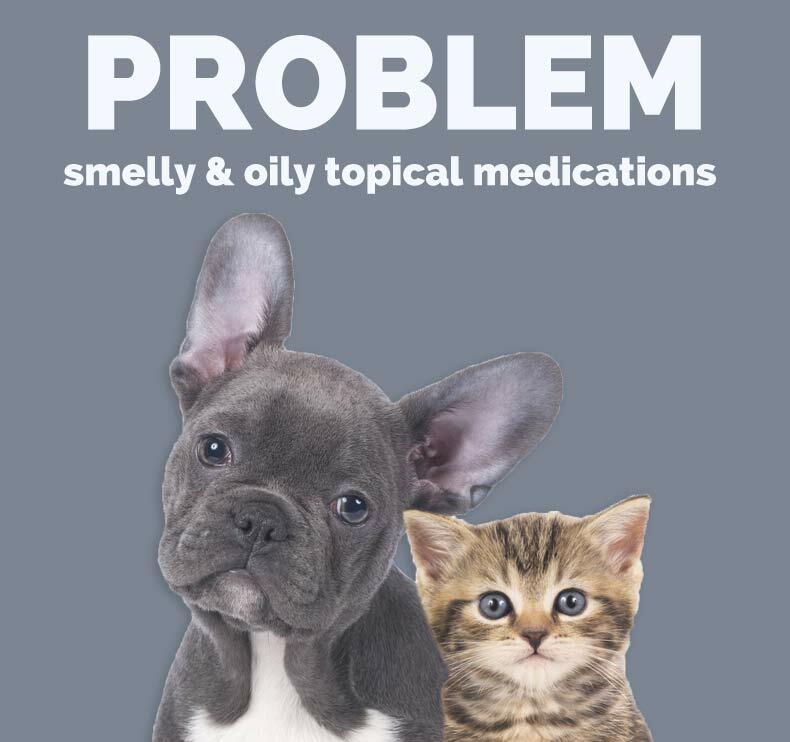 I got the Skin Slipper to rub oily flea meds onto my cats. After that, I started looking for other reasons to use it because it has such a pleasing texture and feel. I ended up getting one for my bestie, who hates dipping her fingers into anything in a tub, like body butter, because of her gel-coat manicure. Now she uses it all the time, too. I use my SS mostly for makeup, to keep foundation off my fingers (and stop wasting it on makeup sponges). I also feel good about the fact that I’m not throwing something in the trash after every use. I wish everyone would know about this amazing product and its benefits. For those applying medicated creams and ointments and much more, the Skin Slipper is a useful and innovative tool.